How to Set a Dining Table – Fast, Chic Table Setting Decorating Ideas! How to Set a Dining Table - Fast, Chic Table Setting Decorating Ideas! 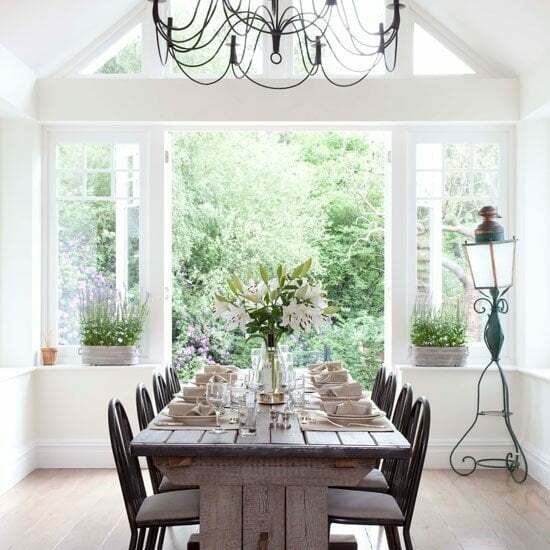 If you want to create a home you love living in, that reflects you, your life and passions there is no better place to start with than the dining table, where friends or family come to share a meal, talk and enjoy each other for a few hours. 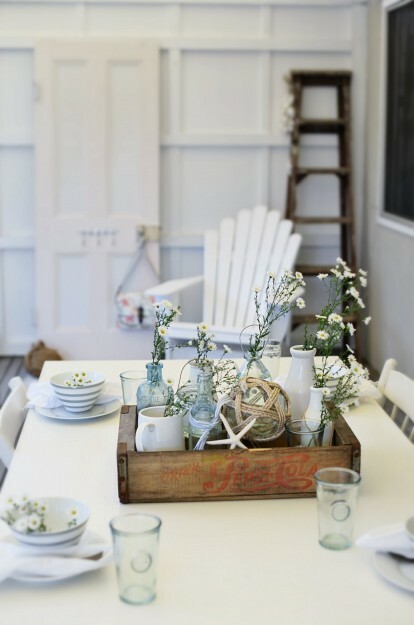 And getting your table setting process down pat means the more time to relax, prepare food and sit with guests. It's about being confident in your own style. 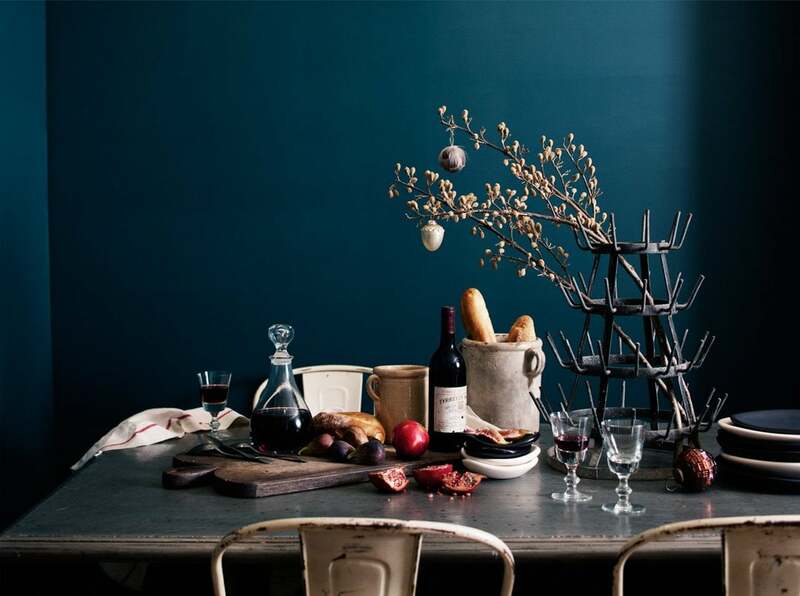 Decorating, yes, even setting the dining table is a form of creativity. More than that, it's an opportunity to express and bring together everything else you do in your life, your passions and your job. It lets everyone see, share and experience your unique way of seeing the world. Think about that for a minute. No-one is exactly like you. No-one else sees the world exactly like you do, has experienced it like you have or has something to share like you do. A recent survey I did, said most people love to decorate but are time poor. Let's face it, even setting the dining table can be stressful if you're under the pump for a deadline or have other things going on that are keeping you beyond busy. 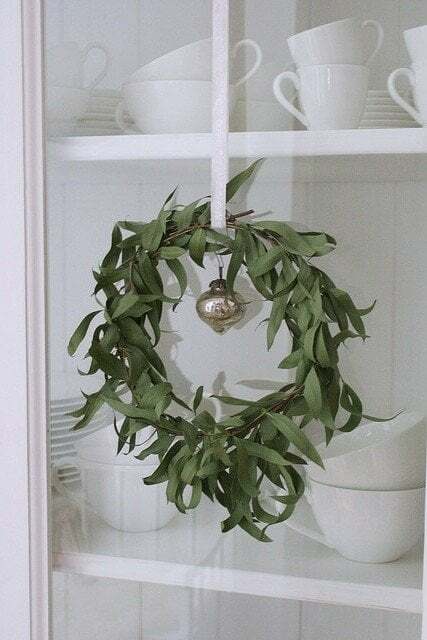 But a little creative planning can go along way, boost your confidence and make opening your home a more relaxed affair. Besides, you don't want to be the person that has only one look, do you? I know, lifestyle gurus like Gwyneth Paltrow at her Goop blog or Aerin Lauder at Aerin make it look so easy. Secretly, we envy their perfect style and wonder if they have teams of underlings to create their über cool looks. But what if you could do it without teams of stylists - with what you already own? Just follow a few simple rules and you are ready to rock and roll. The decorating key is to find a thread that connects pieces. It could be shape, color or era that ties them together and working at clustering, layering or grouping them. Your base, core piece or color could come from a simple vase of flowers, the food you're serving or a collection of plates you love. Allow your creative mind to take over. 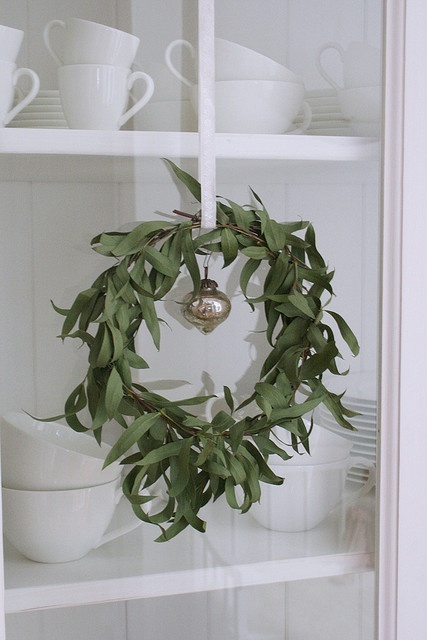 This simple approach will add a freshness and a new energy each time you set your dining table. Believe me if the table looks great, your food will look and taste even better, because you have already given the eye and brain something beautiful to savor. Family or guests, formal or informal dining, when it comes to setting your dining table for entertaining, learn how to mix it up. Sure, there are rules on how you lay out your table, glassware and cutlery, but once you know them feel free to break them, combine different patterns, plates, colors, and textures together so you own the that space to feel confident and enjoy hours of pleasure, laughter and party. So get rid of the tiredness of the day and have fun! 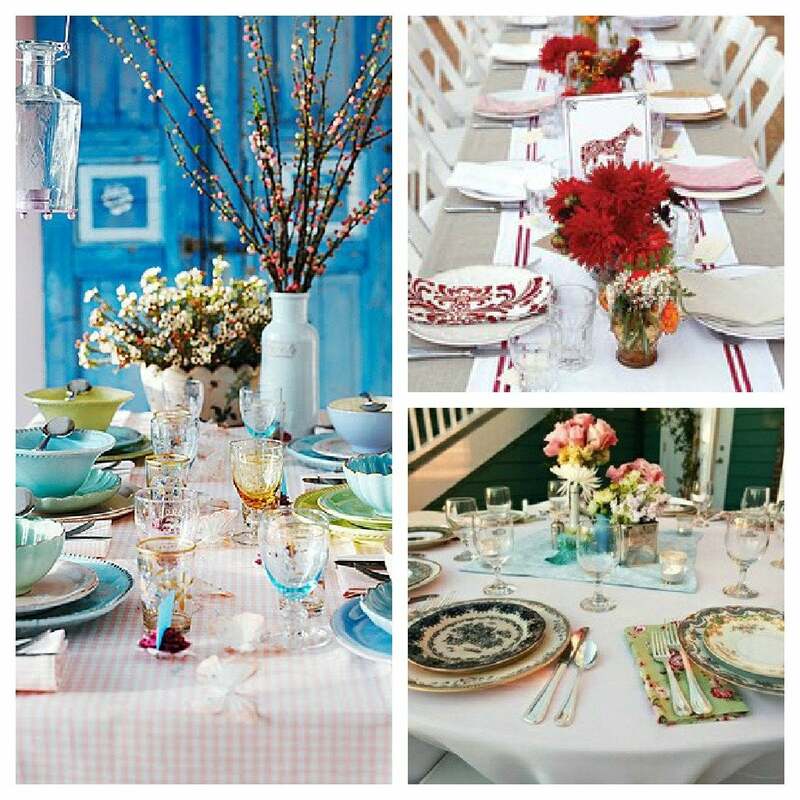 The latest trend in table settings is pairing casual with formal, old with new, classic with modern. 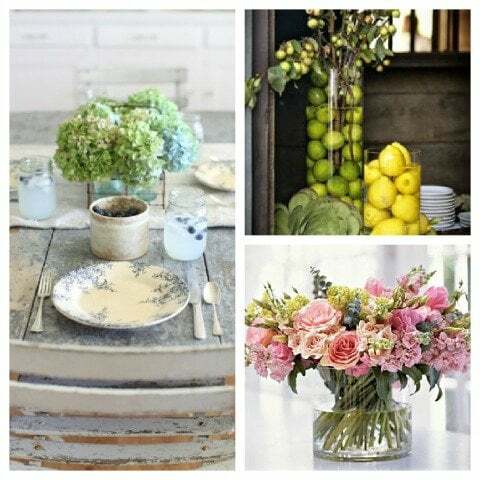 Mix your old and new pieces to create a unique, fresh table setting look. Combining antique or vintage with new pieces is a great way to get a new look out of existing pieces. You don't need to buy a new set of anything, unless you find something you love to add to your collection! 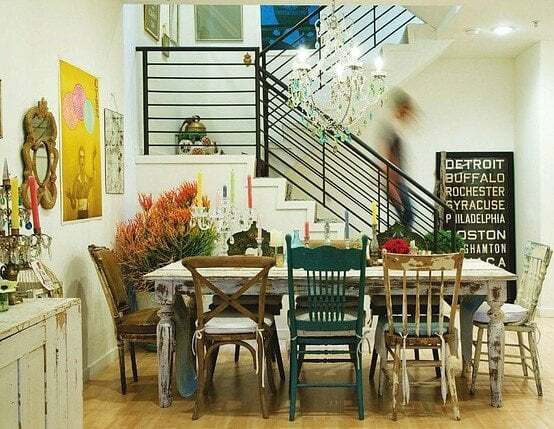 That means mixing chairs, combining vintage china and glassware with family treasures or garage sale finds to the latest contemporary elements. 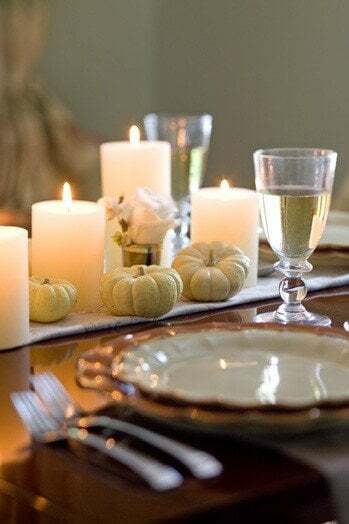 You can go super traditional with table setting ideas like this Thanksgiving idea from Bower Power, follow the latest fashion trends with The Zoe Report or go minimalist at Stylizimo. But since this is about minimal time and high impact style let's look at shaking up what you have before buying more stuff. You can do without the last two and still have a great time. It's up to you. It's your home, your schedule and your party! Most people have a dining table and chairs. Dining chairs don't need to match, in fact mixed dining chairs look great if they are stylish. So, don't fuss over seat covers. Let's discuss comfort. It's not a great idea to have invite 10 people over and squash them on to a tiny table or be without enough chairs. Bad move. Your first priority is to make sure you have enough dining chairs and your table is big enough. Dressing the table is your next task. The 'matching napkins and linen tablecloth' rule is gone. Don't get me wrong, it you love and have matching napkins and tablecloth, use them! A great table cloth changes your look instantly and a new table cloth is the easiest way to introduce new colors and textures. Don't stress if you don't have an ironed table cloth ready. Cute napkins are perfect on a great looking table. Place mats are great but not mandatory. You can make your look work without them. 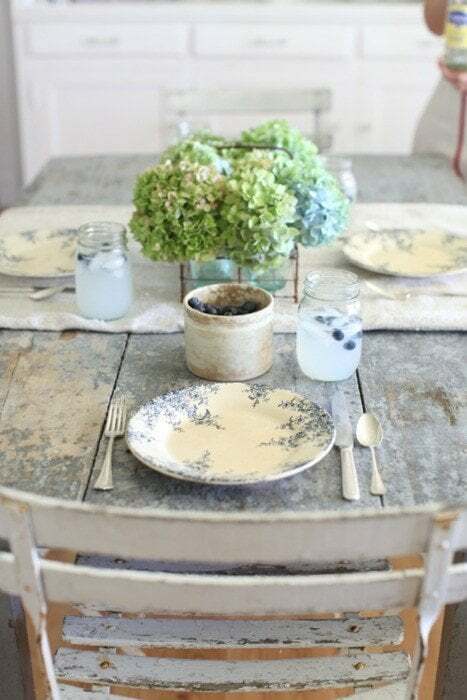 Different tablecloth colors, textures and tones are more interesting; like matching up a soft blue or orange table cloth with pretty floral or patterned napkins. Or what about using leftover simple cotton fabric, a bedspread or an antique linen bed sheet? 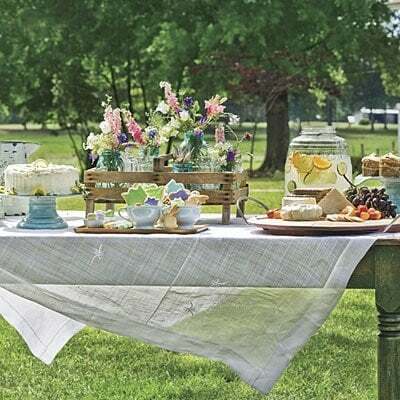 Colorful tablecloths and napkins are great for daytime entertaining. At night, darker tones, like chocolate or tapestries create drama. Crisp white looks great for every occasion. 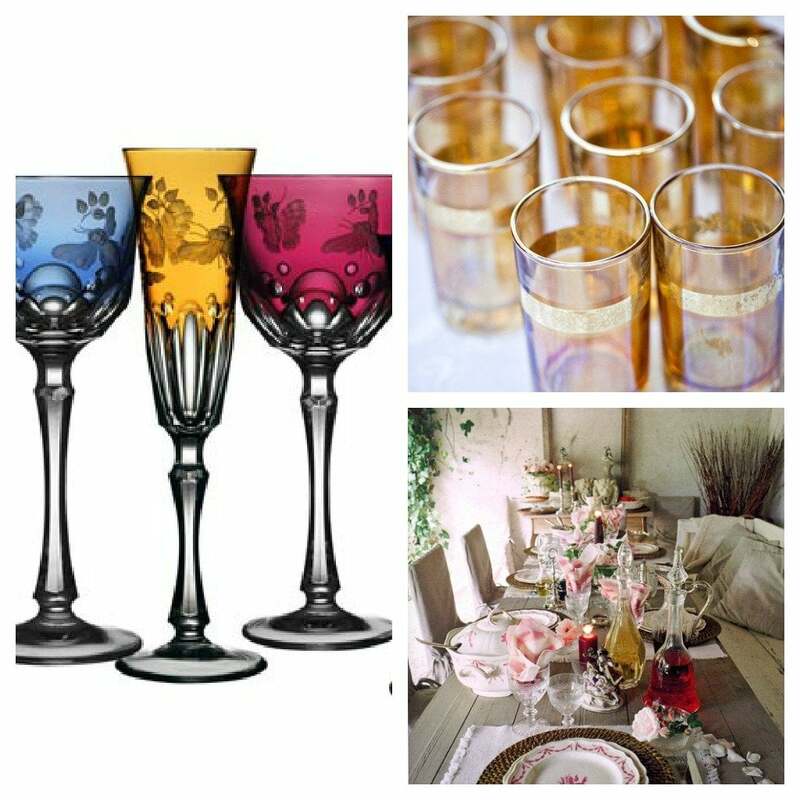 You can dress it up or down with your glassware, napkins, flatware and centerpiece. No matter how stretched for time, never use plastic! Napkins should be luxurious. That means clean, large and using great fabric! Depending on the cloth and the occasion, use ironed or pressed napkins. Think outside the box. Remnant fabric can make unique, gorgeous napkins. Even raw edges work. The imperfect shape is a modern take on the rustic look. If you have more guests than matching napkins, don't stress. Not all napkins need to match. You can easily alternate two different napkins, using three different color schemes; your tablecloth and two different colored napkins to create a unique dining table theme. Try mixing different colored glass on one table. It's something unexpected and can look very chic. Moser makes beautiful, expensive sets of colored glass but if you own different sets, like vintage colored glass, use them, especially if they pick up on the tablecloth or napkin colors. If you're short on time, forget using stemware. Go European and use tumblers. It makes entertaining and cleaning up much easier. This goes for your plates and china too. As long as the colors and styles blend use a variety of dinner plates. How many times has one plate been chipped or broken out of a set? Suddenly you have china that isn't being used, taking up space. Don't give it away! Vintage and classic pieces mixed with new china can look amazing. 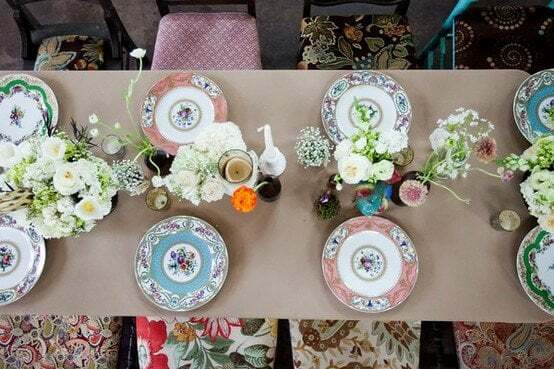 Here we have mismatched chairs and china all pulled together with flowers in white and soft colors! If you really love a plate pattern, shape or color buy more than you need so you won't spoil the set if one breaks or goes missing. 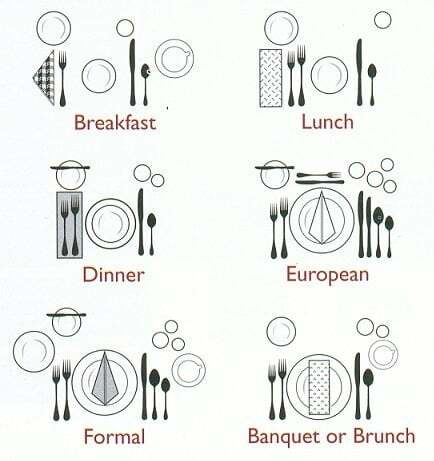 My dear grandmother taught me a simple trick, so now I always buy 10 or 12 place settings. It's more expensive to begin with but easier to live with if the pattern or style is discontinued later. Another trick is to buy white plates. White plates go with any other pattern you might have, and food always looks great on it. Make sure it's white and not grayish because no amount of cleaning with improve the color and they'll look dirty against any white serving dishes or other plates you have. Aerin Lauder uses mismatched silver place settings to add a unique, rustic or antique element that's hard to create with new flatware. It's often heavier too, great to eat with, more interesting to look at and inexpensive to buy. So, keep your silver. Incomplete sets are easy enough to add to. But make sure they are not tarnished when you put them out! Nothing scares people more than setting a table. If that's holding you back from entertaining, then learn fast. It's not that hard. Here's how you do it! And by the way, this doesn't mean you need every piece before you can dine. It's just a guide. Did You Know has even more suggestions on proper table settings if these aren't enough. The difference between informal and formal styles is often a case of more; more glassware, more plates, more cutlery and better quality. What works the best is knowing your own style and pulling in your favorites, especially if you are pushed for time. You can't get any simpler than the table setting above, but it is also very elegant. 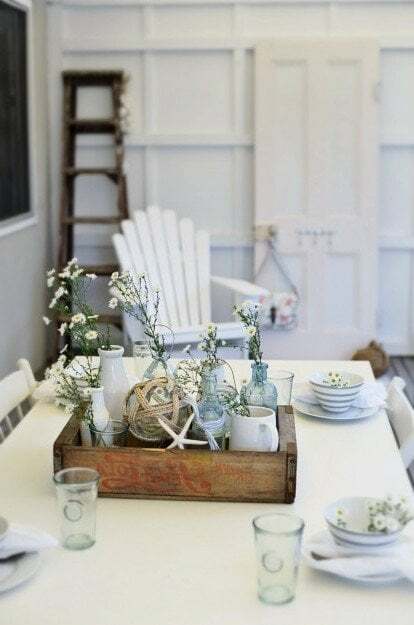 It has minimum cutlery and glassware, but the simple matching plates, garden flowers and runner all fit together beautifully. Scandinavians have a wonderful tradition of using candles whenever they have guests. Even in the middle of the day. Maybe it's because the light is different, but there’s nothing more flattering and relaxing than candles on a table and no faster way of dressing your table. 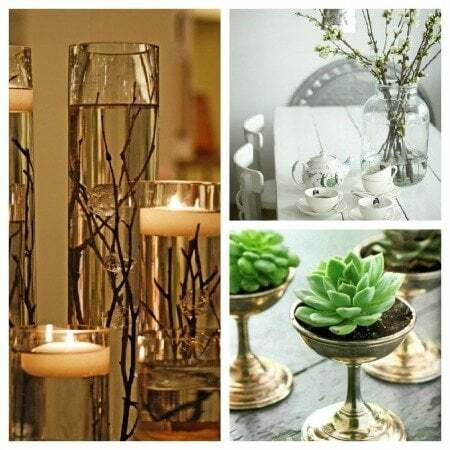 Mountains of votives, hurricane lamps or candelabras look great outdoors and indoors. 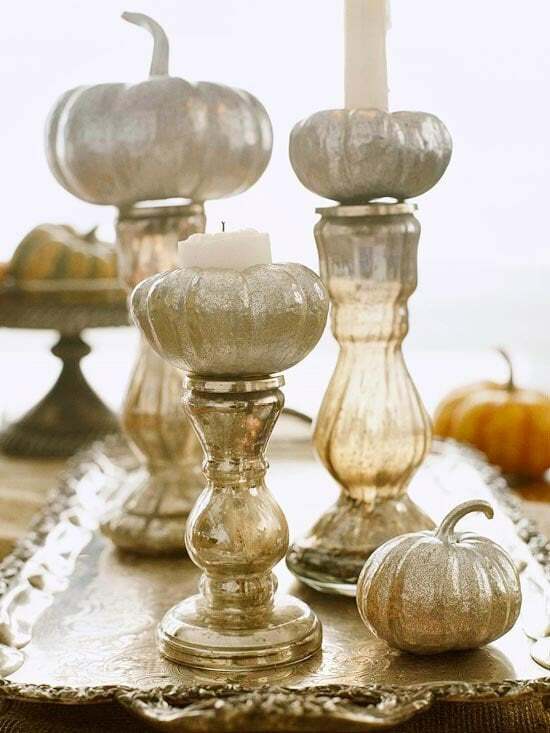 You can create your own candle holders, centerpieces, add flowers or spread them out across the table. You can go tall or short but either way make sure everyone can see and talk easily around all your centerpieces. Flowers are a great way to decorate your table. You can go lavish or simple. If time is an issue and buying flowers is difficult, use flowers from your garden, candles or a decoration as your table focus. You can use fruits like oranges or lemons in a clear vase, succulents or moss to create a point of interest. Ever bought flowers and found you don't have a vase that suits? Keep different vase shapes and heights or use tumblers, pitchers, water jugs or even crystal decanters. 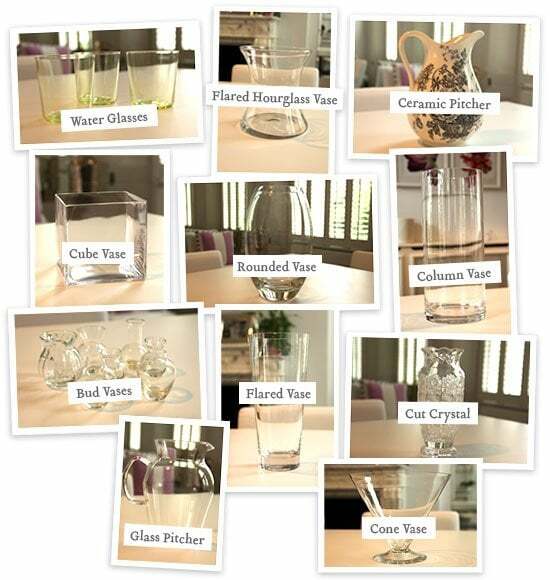 Goop has wonderful examples of how to use vase shapes; hour-glass, cone, bud, cube or pitcher you are covered. See more here. With your table set you should be ready to go! Don't be 'that' person who uses exactly the same table cloth, place mats, napkins, candle holders and china year after year. Mix some of your china, glassware or napkins - old with new, to get a new look. Try a few of these tips before your next dinner. Your creativity and confidence will shine through and you will enjoy entertaining at home so much more! Don't forget to go to Facebook and Like us here. WOW! If there ever was a reason to go for gold and up level my business this is it!!! I love the beauty and FUN presented here! I am going to dig into my goods and do a little shopping to start increasing a more prosperous look in my home!!! What a great way to feel fabulous!!! 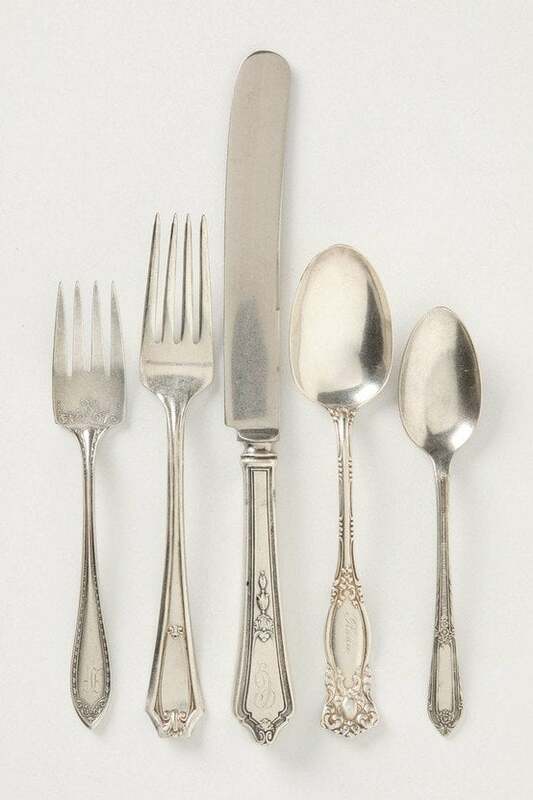 This is very nice but when looking at the cutlery, I was always taught that we were to have the cutlery for the main meal, for example the larger fork outside the desert fork or have the rules changed? So that when we commenced we started from the outside. Would the smaller fork therefore be for an entree? Also when dining in Europe I found there were no soup spoons and one was supposed to eat soup with a desert spoon. I found that difficult to understand and there appear to be no soup spoons in the illustration. thanks for the email and taking time to write! There seem to be more variations these days. I was taught, like you, to start from the outside and move in with the courses. We've changed a few things - like where to put the dessert spoon and fork... at the top. Mostly because guests often get confused and use them for other meals. Which means scurrying about to get fresh dessert spoons and forks, not to embarrass them or us. Smaller forks for entree, should be outside the main meal fork. Hope I explained this correctly. As far as Europe is concerned - I find it different in each country - and can't keep up. But I think you are right and I'll have to changed the image so it's not so confusing. Thanks! Hi. I love your post! But I have questions ... Hopefully people in your group will also give ideas? One is ... I have a table that seats 6. How best would I arrange a table for a meal for three - without it looking lopsided? Two ... We are Indians and don't really do coursed meals. It's usually one plate and all the dishes set out on the table and everyone helps themselves at their own pace and choice of courses! This then completely makes impossible a centre piece. Even candles I have found get in the way of reaching out to dishes! I am a bit bored with just a plate, glasses and basic cutlery idea! Yes I add the cloth or a runner, often placemats and napkins ... But I am so BORED with the look! Also since we move often, I don't have any huge collection of cutlery, china, dishes ... I have kept them simple and basic ... Transparent textured glass or black luminarc. Of course, our food tends to be a bit colourful! Any ideas and pictures will be so welcome. Thankyou. Thanks for the email - the easiest way to share a meal with 3 people on a larger table, normally for 6, is to put your shared meals in the middle and create your seating in a V. That is two people seated on one side and the other person seated on the other side, but in the middle - forming a V.
Sharing meals in the middle of the table, means there is little space for flowers or candles. If only three people are dining, dress the table with flowers and candles at one or both ends of the table not being used for food. At least one of my issues are solved now! I think it depends how formal and how big your table is. If its informal and you are okay with the V shape, it may depend on 'who's' friend is coming for dinner. If it is your friend, then it may be best to sit with you for easier conversation. Otherwise, hosts on one side.